Two months ago the friendly bus driver, Nathalie Barnes, began a conversation with a passenger named Richard. Richard was homeless as of the week before and asked Nathalie for permission to stay on the bus for the entire night so that he could escape the cold weather. Nathalie immediately agreed and decided to help him out, according to an MCTS blog post. "At some point in our lives, everybody needs help," Barnes explained. "I wanted to do what I could to help Richard in some way." So she surely did. Not only did she let Richard travel along for the night, but she also took him out for some food during her break and even made sure he could spend the night in a homeless shelter. Her kindness touched Richard and he didn't know how he could ever repay Nathalie. However, she didn't want to hear such a thing. "I want to help you," she said. Over the course of the six-hour bus ride, Nathalie and Richard became friends. They exchanged their phone numbers and regular check-up on each other. "We talk every couple of days and he thanks me every time he talks to me for helping him," Nathalie said. "He calls me his little guardian angel. I’m happy to say that he’s progressing well." It isn't the first time Nathalie helped somebody in need. Since her career at the MCTS started two years ago, she has received three commendations for outstanding service. The kindhearted lady usually brings PB&J sandwiches with her during her shift so that she can hand them out to people. 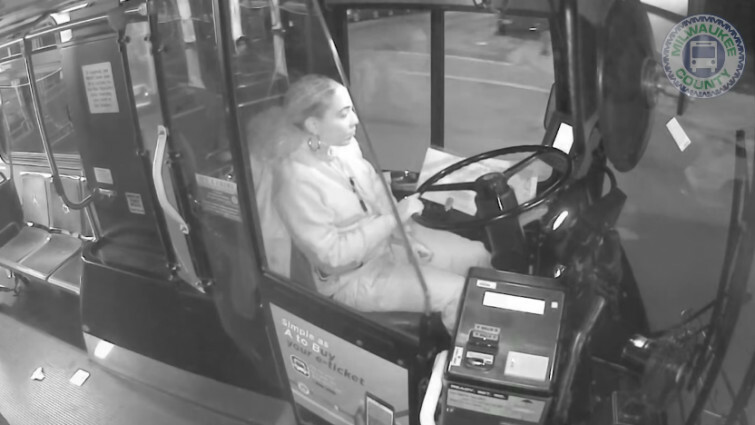 "Natalie’s kindness, compassion, and respect for this man in need are what MCTS excellence is all about," Milwaukee County Executive, Chris Abele, said. "Natalie demonstrated what we all need to do to fight homelessness: to look out for each other, to care for each other and to work together. I’m deeply grateful for Natalie’s actions."